You can choose if you want survival mode or challenge mode in the beginning of the game. 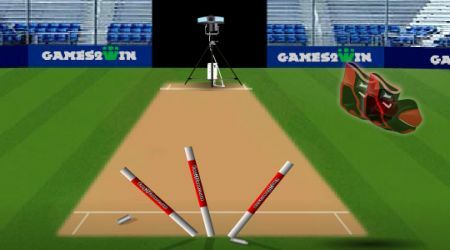 Guide your hands to catch the ball by moving the mouse. Press the left mouse button when the marker is at the yellow part of the shot bar. Fill up both the catch and stump bars to be able to proceed to the next level.